Every business may have different requirements and preferences. This is where custom software development comes into the picture. GoingIT is the best Software Development Company Melbourne helps your business get a competitive advantage. We are known for delivering cost-saving software development solutions as per the clients' specific requirements and business goals. GoingIT can provide fully supported custom software that enhances your business processes. Take the advantage of our expertise in building various applications for web, desktop, mobile and enterprise platforms. To minimize the risk, save your budget and ensure your custom software application delivers real-world value, we provide a transparent process which involves keeping you informed and engaged at every step of the development process. As we maintain complete transparency with our clients, we are a trusted choice of many clients across the globe. Our custom software development solutions help clients to build and integrate their business applications with their existing systems. We are known for creating and deploying scalable and robust software solutions for a wide range of industries. From requirements gathering, product development, and project management to testing and quality assurance, our qualified professionals and project development team ensure on-time and on-budget delivery of your custom application. 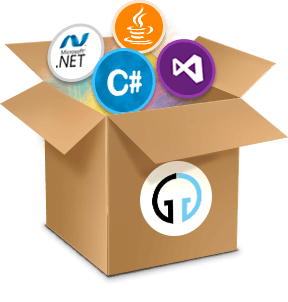 GoingIT can assist you throughout the full software development cycle. Contact us about your software development requirements today. GoingIT can assist you throughout the full software development cycle. Increase productivity and competitive advantage with a new, fully supported custom application, which is designed to grow your business. Protect your business with strong applications with a flexible support, which gives you peace of mind and prevents faults. Improve efficiency by upgrading, enhancing or retiring a legacy system which could be putting limitations on your business growth. Ensure that your application continuously meets your business needs through maintenance and enhancement with our development blocks. Have you inherited an under-delivered system which does not meet your needs? Our team can identify problem areas and provide relevant solutions. Integrate an existing or new custom application with your other business systems to facilitate communication and inter department access to otherwise segregated data.